The snow is weeks away from falling and your garden is probably dead already. The frost hit hard and heavy this year, leaving carefully cultivated yards struggling to grow through the chill. You are getting ready to hole up in your log cabin and beat out the frigid days. Now you have to wait until spring before you can even begin thinking of enjoying a garden again, right? Actually, no...you can create a winter garden that gives you everything you want in a work or relaxation space. What Is a Winter Garden? Depending on who you ask, a winter garden is an outdoor or indoor space that has all the benefits of a garden that you can enjoy, without having to give it up once the cold months come along. If you are a garden lover it is a great way to have one all year round, not just when the sun is shining. Here are ten ways you can make your own winter garden in your log cabin. Consider a Greenhouse - A greenhouse is an obvious way to keep plants alive during the winter. It used to be that building and maintaining one was a huge undertaking. Now you can get beginner friendly (or just lazy) greenhouses that are easy to construct and take care of, no matter the size you go for. Check your local nursery for their recommendations and chances are they can tell you the best portable greenhouses that you can buy. Don’t Be Afraid To Go Multipurpose - If you do decide to go with something larger scale and permanent you should consider creating a multipurpose space rather than a dedicated one. For instance, some people will take their home office and make part of it a garden room. This allows them to keep up with their plants and enjoy the feeling of a garden while working. It can be a great way to focus, having all that nature surrounding you even when you are indoors and it is snowing outside through the window. You can also use living rooms and even bedrooms for this. 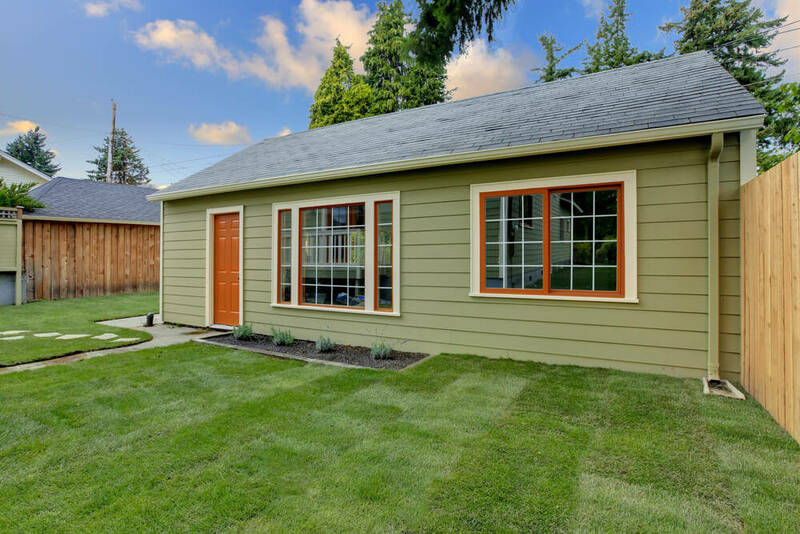 Convert a Shed - A shed doesn’t just have to hold random tools. 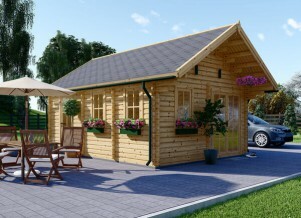 You can buy a shed and use it for absolutely anything, including a space for keeping plants. But a word of caution: make sure you get an insulated shed and give it some kind of internal heat source, such as a warm humidifier. This will keep your plants from getting cold, as metal sheds in particular can let in a lot of chill if you don’t fight against it. Turn a Gazebo Into a Winter Paradise - Want something more open? 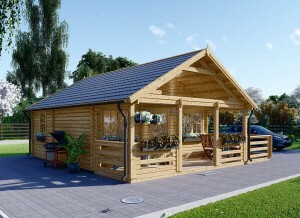 A gazebo is an awesome way to enjoy the outdoors even when it is snowing or raining. Put some furniture out that is comfortable and water resistant. Pop a portable electric heater or other source of warmth out with it. It won’t allow for living plants but the white powder covering your property can be a beautiful site when you are warm and sitting out under your gazebo. Turn Your Whole House Into a Garden - Why stop at one room when your whole house can be a garden? 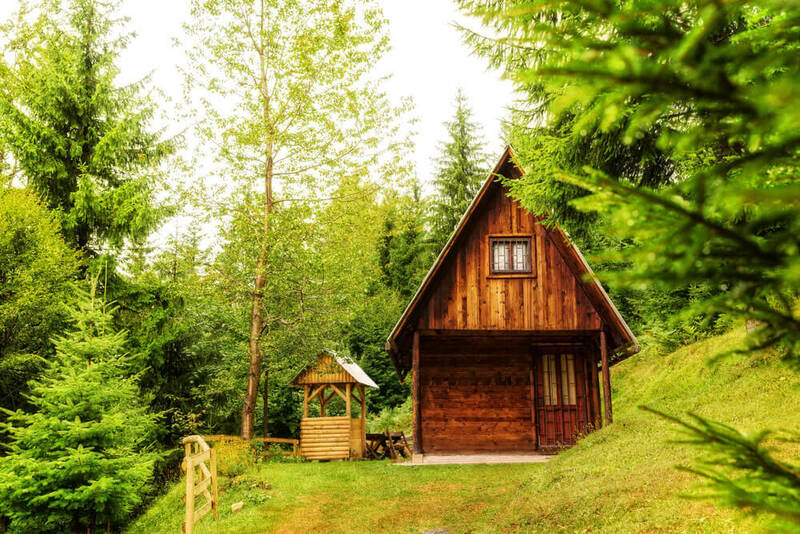 A log cabin has a certain rustic, earthy charm to it. It is perfect for filling with plants of all types, from room to room. 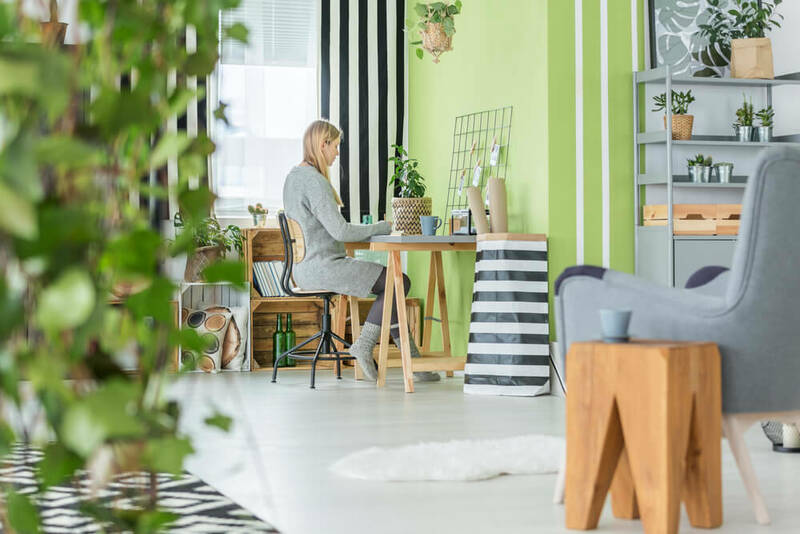 One of the common trends these days is to build the decor in a way that is reminiscent of a garden, including furniture that almost looks like it would be in a park. Don’t Just Think Flowers - Flowers may be wonderful for accessorizing, but there are more plants that also serve a practical purpose and can be kept all year round. Think herbs, potted vegetables (these will probably have to be transplanted outside in the spring as they get too big to fit their containers) and even fruits. Having fresh produce and herbs at any point in the year is worth maintaining a growing space in your home. Fill a Vanity With Plants - This is one of the best trends currently happening in the designer world. People are getting large vanities or china cabinets and putting plants in there. 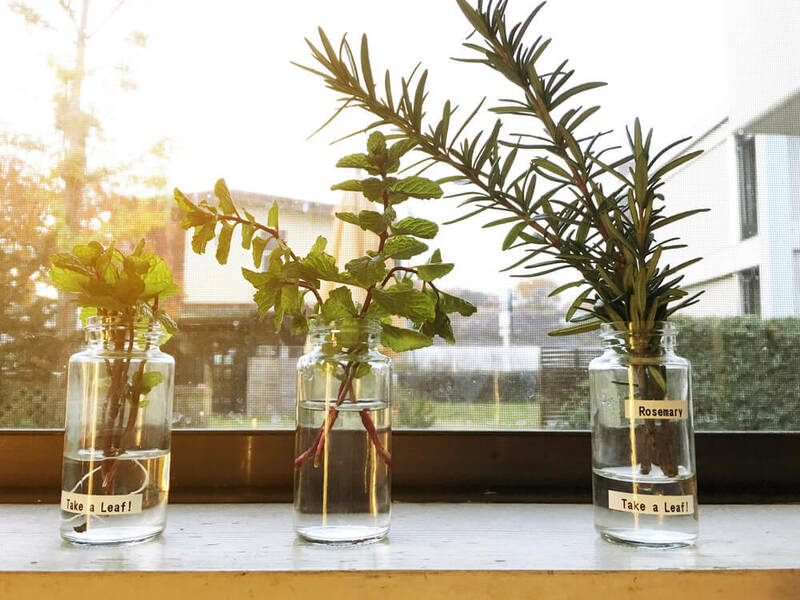 Not only is this a great idea for storing them, but it helps more delicate plants stay dry, free of dust and properly elevated so they don’t overgrow counter space or get jostled, leading to bruising of their leaves or stems. Use Your Patio - A patio is the perfect space for some outdoor time. Much like a gazebo, you can set up some furniture and a heating source, sit out and watch the snowfall. If your patio isn’t covered, never fear. You can set up makeshift roofing for relatively cheap in order to make it a covered space. This will also protect the wood from the elements, so a great idea in the long term. For roofing on a budget you can even create a tarp canopy that sluffs off rain and snow at an angle. 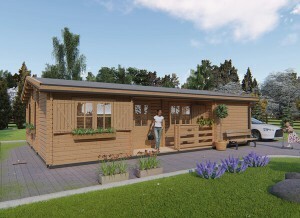 Build a Garden Room - Have you see garden rooms? These are miniature houses in backyards that open out into the garden. They are great for the winter as they are entirely protected spaces that maintain their heat. It can double as a guest house, which is another reason so many people are choosing to build them. 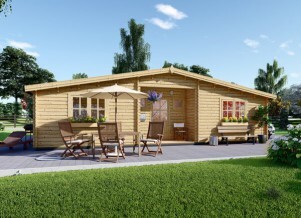 Log cabin versions are excellent, as you can buy them prefabricated and so ready to put together within a very short period of time, for a fraction of the cost of building from scratch. There are metal versions as well, but they don’t have the same charm as their wooden counterparts. Just Get Some Plants - Do you enjoy plants? Then just buy some! No matter the time of year you can surround yourself with flowers, vegetables, herbs and small trees. All you have to do is find space for them in your home. Don’t let the snow stop you from enjoying nature!